– What is the Brilliant Football difference? This is probably the most important question and we’re glad you’ve asked. 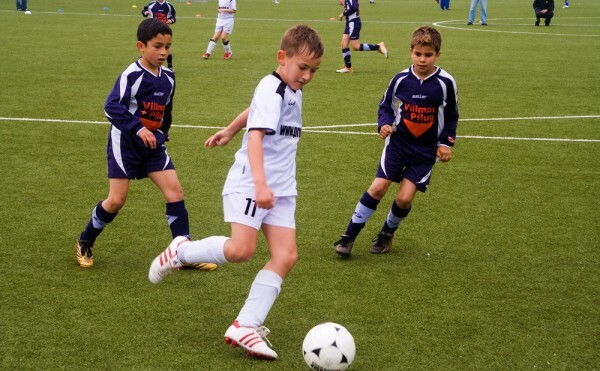 Brilliant Football programs are designed based on the Football Federation Australia (FFA) curriculum, coupled with our long years of football coaching experience. So while we provide a safe and fun environment for the little ones, we ensure they develop the required age-appropriate technical skills that will make them better footballers. It is also important to mention that Brilliant Football offers an inclusive environment where boys and girls of all football-skill levels are accepted. We don’t select the elite only and leave the rest behind, we welcome everyone and develop them to become better footballers. – How qualified are the Brilliant Football coaches? Brilliant Football is managed by a technical director who holds the FFA/AFC B Licence prestigious qualification. We invest in our coaches education and ensure they get the appropriate FFA certificate for the relevant age-group of the kids they’re working with. – Does Brilliant Football run programs all around the year? Yes. We run programs with every school term. – Do you run more than one session per week? The Social/Development Program will run once a week. The High Performance Program (HPP) will run once or twice per week depending on which term of the year it is. – Is there a discount system for existing players? Yes, as part of our Loyalty Program, existing academy players will receive a 30% discount when registering for a further term/program. – What will the kids need to have in readiness for the training session? Shinguards and long socks are mandatory for all players. Parents are also advised to ensure the kids have sunscreen on and bring a large bottle of water to stay hydrated. – What will be included as part of the registration fee? A playing top will be provided to every new player as part of the registration fee.